This poem was published in Poets & Artists (Goss 183) as part of its special 50th issue edition, Nov 2013. "N. poeticus" is the Latin name of the narcissus flower, and the poem is an ekphrastic collaboration with poet Steve Brightman and artist Angela Hardy. Narcissus - youth, reflection, flower - is the legend and thematic basis of the triptych composed of "Tethered" by Angela Hardy, "As Pitiful Dowry" by Steve Brightman, and "N. poeticus" by Samuel Peralta. Angela's startling preliminary painting - two female lovers mirroring each other with an aquamarine iconography - springboarded an online discussion, with Steve undertaking to write a piece from the perspective of the Narcissus figure, and Sam the point of view of the watery reflection. The three shared intermediate drafts, exchanged symbologies and imagistic concepts - picking up echoes from each other's work as each progressed to culmination. This concert birthed a triplet of individual art pieces that move and reflect each other seamlessly, each piece as much in sensuous union as the characters of the myth. I would love to see all three together! Thanks for asking... The best rendition, including of the artwork, is in the 'Poets & Arrtists' paperback issue, available via this link from Amazon. There is another link for a digital preview of the issue; I will look for it. Ah, here is a standalone digital version (the artwork really is much more beautiful viewed in the print version) - Legends (Poets & Artists, Goss183, 2013). The Narcissus collaboration is on pages 57-60. Here is a low-res digital version - Issuu Edition of Poets & Artists #50. In this edition, the Narcissus collaboration is on pages 73-76. What a wonderful creation Sam. I was reminded of the Narcissus Poeticus -- that Flower of spring that actually smells.. How the stanzas grasp each others like lovers . and that end.. sealed with a kiss. O! a meeting, a desire, a drowning--depending. Lovely and on edge, indeed. Just so you know... I've always enjoyed the twist of tradition and professionalism in your work; with a sprinkle of contemporary voice. You truly are one to learn from.Because of your youth, we have much to look forward too as the years melt away. As always, Sam, you manage to cull beauty and truth from science and form. When I grow up I want to be you. Thank You for directing some of your traffic to Friday Flash 55. My goal and purpose of this Meme has always been to encourage new writers, and to help published authors sharpen their skills to be more succinct and less wordy. As you have unselfishly shown, this isn't about ego, it's about giving writers another forum to show their talents. Thanks again, The G-Man is ALWAYS at your service. and i hope you are having a very merry christmas! so lush in phrasing. And the pow of the gloaming coal of mouth…what a diamond to read. As always, your words, a wonderful read. Beautiful use of language, as always! Samuel the words always take flight in your work. Meaning and depth that we constantly appreciate in your poetry! ...And, if you can, please leave a rating at Amazon.com. It's easy, and it does help a lot. The titles set in his Labyrinth universe have begun to garner praise from readers, with several short stories released and a novel series in the works. The titles in his Future Chronicles short story anthology series in speculative fiction have all been #1 bestsellers on Amazon. The titles in the Semaphore collection were all #1 Amazon Kindle Hot New Releases, and ranked at the top of the Bestseller lists, in their category. 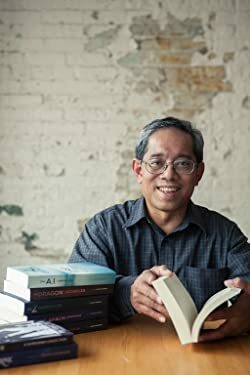 He has been recognized with awards from the BBC, UK Poetry Society, Digital Literature Institute, a Palanca Award, and shortlists for the League of Canadian Poets, Elgin Award, ARC Poem of the Year, Amazon and GoodReads. With a growing following for his speculative fiction and poetry series, Peralta continues to strive to be at the forefront of the new literary renaissance. "Stunning, brilliant... Gorgeous imagery, beautiful writing." "Luminous... What power in these concise, muscled lines." "[Peralta] writes of things that matter, so beautifully and simply, he can reduce you to tears." "When I first read 'Hush' I was moved by this most subtle of love poems. Now it's in my collection of favourites." "[Peralta] amazes with a crystal-clear view..."
"Magic... As beautiful as the snowfall outside my window." "Few poets alive can transcend free verse and metered form to grasp the ineffable... Peralta is that kind of poet." Semaphore is a literary project and persona, founded in 2009 by Samuel Peralta. In the early days of the social network Twitter, while others streamed status updates, Peralta was one of the first to stream original poetry - as @Semaphore. Semaphore became an online phenomenon, with nearly five million downloads of 300+ poems, acclaimed for their emotive impact and craftsmanship. These poems - originally texts, posts and streams on multiple platforms - are now being collected and preserved in the books of The Semaphore Collection. Copyright © 2009-2016, Samuel Peralta. These include, but are not limited to, adaptations, samples, or other derivatives emanating from the poems and original material on this website, whether in print, music, film, or other media. Legal counsel Bereskin & Parr LLP. Short quotations from poems are permitted as long as a link back to this blog is provided, with reference clearly made to this site and the author as the original source. 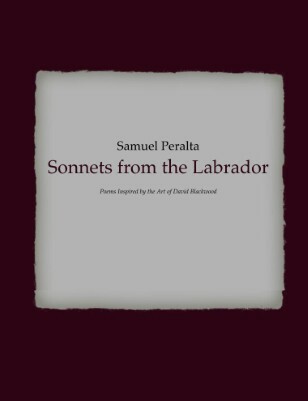 Trademarks or service marks of Samuel Peralta include, but are not limited to: 'Future Chronicles', 'Chronicle Worlds', 'Labyrinth Man', 'Semaphore', 'Semaphore Anthology', 'Semaphore Collection', 'Sonata Vampirica', 'Sonnets from the Labrador', 'How More Beautiful You Are', 'Tango Desolado', 'War and Ablution'. Author photograph by Antosia Fiedur Photography. Copyright to images illustrating book covers or poems are as attributed in each work, and used with permission of the original copyright holder; or via Wikimedia Commons, licensed as per the corresponding license for the source. Titles by Samuel Peralta are published by Windrift Books, a division of Windrift Bay. Get a free Kindle ebook of 15 speculative fiction short stories by joining! ...I only write when I have a new title, or for great deals and more free stuff. Join now! ▪ Click image to buy! Cresside de Nova - "Riddles for Sam"
Molly Gaudry - "That Brunch We Didn't Have"
Jenne' R. Andrews - "After Reading Peralta and Listening to Tosca"
Emmet Wheatfall - "I May Never"
Jenne' R. Andrews - "The Innuendo of Owls"
Patricia Devlin-Hill - "The Bookcase"
Nancy Watts - "One Hundred Poems"
The first print edition of 'Sonnets from the Labrador' was published by Goss183, as part of its MiPoesias Chapbook Series. 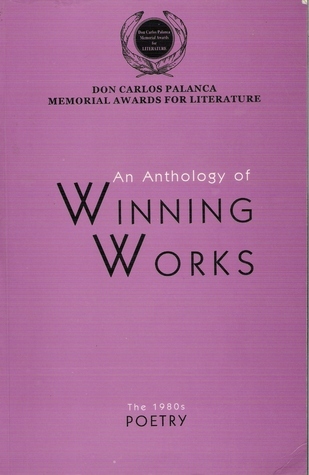 Selected poems from 'Pacific' - the award-winning full-length manuscript - are collected in 'The Palanca Memorial Awards Anthology of Winning Works', from Anvil Books. Revised versions of selected poems are included in 'The Semaphore Collection'. 'Moon Leaves', a poetry chapbook, accompanied an exhibition of artwork by R. Bitanga. This edition is no longer available.